Located around 3 km from Corfu Town, Kanoni was once the capital and heart of Corfu, rich in nature, history and culture. The name Kanoni (canon) is derived from the canons that were protecting the city at the entrance of the lagoon. 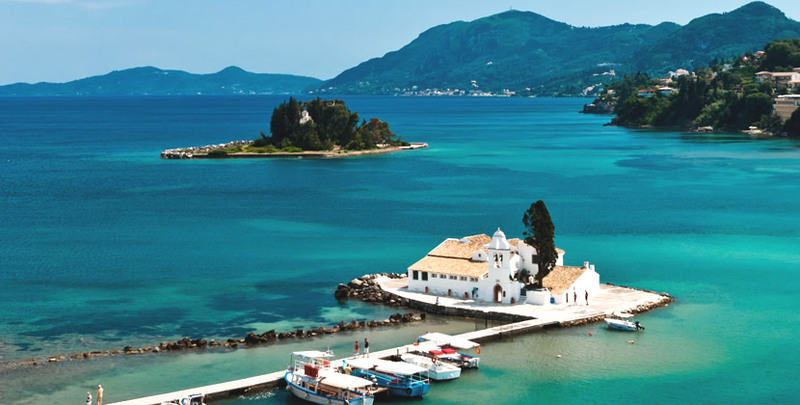 Nowadays, Kanoni is a quarter of Corfu Town, home to incredible views to two of Corfu’s most popular spots: the whitewashed church of Vlacherna and Corfu’s iconic landmark, the Mouse Island. For those who love planes, Kanoni is also the best place to watch planes take off and land right over your head, as its located just next to Corfu Airport!